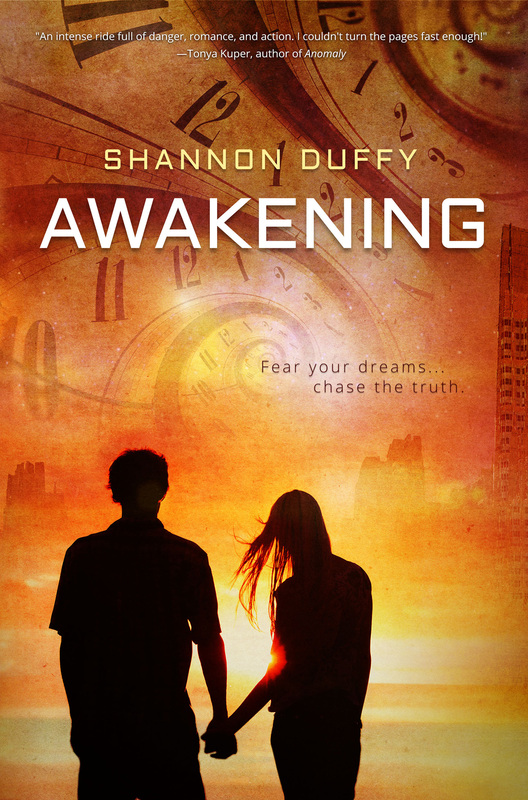 Don’t miss today’s Teaser Tuesday from Awakening by Shannon Duffy, on sale 4/7/15. With a yawn, I hold the inside of my right wrist against the red, blinking scanner on the side of the Syncro-Drifter’s metal surface. 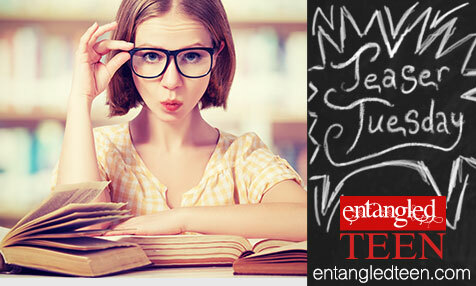 It emits a tinkling sound, then flashes green as it syncs with the sensor beneath my skin. Still, a slight ripple of anxiety twists my insides as the Dreamscape starts pulling me under. Tonight I’ll dream the same thing I’ve dreamed about since I turned sixteen nine months ago. Guilt rips through me for letting myself be nervous. With all The Protectorate does for us I shouldn’t be anxious. They’ve done everything in their power to relieve the population of painful emotions. If anything, I should feel more grateful. Images twirl behind my closed lids. It’s the beginning of every Dreamscape sequence. A set of hands, palms facing up, appears before me with the words “The Protectorate” floating above them. “The Protectorate,” a woman’s voice whispers, misty and soothing, as if reading the words. “Here to keep you safe and guide you through life without worry. We are the helping hands of society. Come—rest your mind with us.” The hands spread out, rise up slightly, then disappear. In their place an image of a snowy owl—the logo of The Protectorate—appears, fluffs its white downy feathers, and releases a low hoot. All my life I’ve grown to expectthe image of the beautiful creature and the lulling sound it makes before the dream sequence begins. It’s always soothed me. But tonight as I drift off to sleep, I remember that soon I’ll see Asher, my childhood bully’s face, in my dreams. Since he is my life-mate, we’ll be bound together at the age of eighteen. Every night, at the end of every dream, he holds out our binding necklace to me, wearing the same familiar smirk I’ve grown to resent. In some ways, I wish we’d known who our binding mate was going to be from birth. Maybe then Asher wouldn’t have been so mean to me. But at least now I have just over one year to get used to the idea. I know this year of dreaming of my mate is The Protectorate’s way to better prepare me for our binding. I also know this should be enough and that it should make me happy.